Recently I had an excuse to buy the new special edition Harry Potter books. It was my birthday and they finally arrived. They are beautiful. Absolutely gorgeous. I literally tore the box open and looked at them for ages. 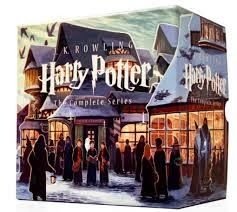 And while I admired them and stared my little sister asked if she could have my old set. She's 18. But regardless of the fact that my old set is missing all the dust jackets, pages are torn and taped back in, the covers are bent and damaged and the pages have all yellowed. I am sentimentally attached to these books. 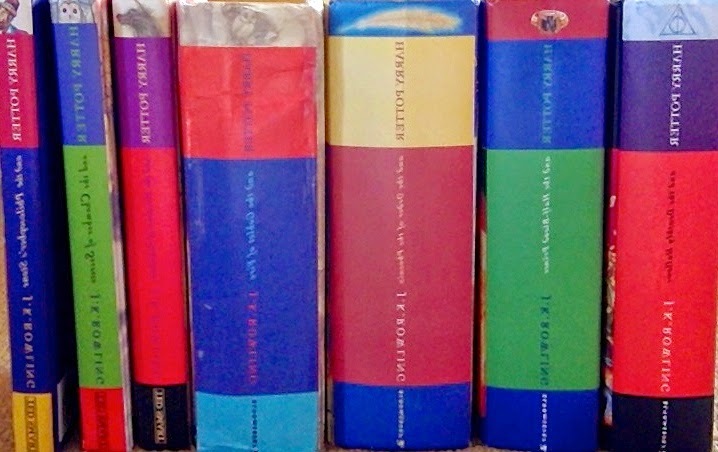 They have come with me in school bags, and on holidays, they helped me through sick days and have been re-read more times than any other fiction I own. They are not just books that I love, they are a safe haven and a world that I escape to when this one is simply too complicated. I love my old set. I love the new set. 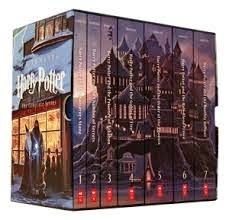 I can't wait for them to become mine, and by that I mean to re-read them. Both sets have pride of place on my favourites fantasy shelf, both there to be displayed and read. Mine.